The term inbound marketing refers to the powerful method for creating and sharing content that turns audiences into brand ambassadors and customers. In an era where social media has helped to propel businesses to new levels of success (including creating the youngest female Billionaire to date), there is now even more proof that a consistent social presence can drive inbound leads. Leveraging the power of social media begins with an understanding that engagement is the key to attracting qualified leads and growing your following. Next you will need to overcome common misconceptions. 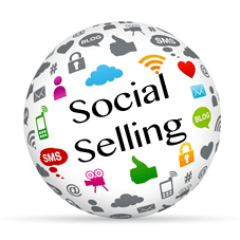 Finally, you will need to develop a consistent approach to social media marketing. ience even deeper, people who are not like us in any way other than we share this incredible invention: Social Media. It’s downright amazing when you think about it. There is a resource available for companies looking to improve their lead generation without investing excessive amounts of money. Yet a remarkable number of businesses underutilize it, if they realize the value at all. Sales is a challenging field. Only those who are determined, persistent and consistent survive and thrive in such a demanding, high-pressure role. The highest-performers understand they must adapt to changing environments and continue to learn ways to stay ahead of the competition.